Quite an appropriate name for Cisco Ferreira, a man who has played a big part in the crea- tion and development of Techno from the very beginning of this genre’s history. Indeed, his Techno CV is the stuff of legend. Cisco was producing Techno and performing live Techno shows years before the rest of the world had even heard of the genre. He released his first track in 1988, was a pioneer of the Live PA (or Live Public Address – performing Techno live in front of an audience using electronic music gear), and, if all that wasn’t enough, he even worked as the sound engineer on some of Derrick May’s, Adonis & Fingers Inc’s recording sessions! The list goes on, and so does Cisco. Unlike other Techno pioneers from the early years, Cisco continues to produce with as much passion and frequency as he did back in the day. His releases on Labels Like Tresor, Rotation, Electrix, Kanzleramt, Dj Gigolos, Pure Plastic, Synewave plus many more is just another example of his ongoing pursuit to keep making music and pushing Techno to new boundaries. Cisco was born to Portuguese parents on the island of Madeira (Portugal). His family moved to London (1975) when he was five years old, setting the stage for his musical career. While at Paddington College (1986) in West London, he studied sound engineering and secured a job after graduation as an assistant sound engineer at ZOLOU Then later WALL Studios. At this period is when he really started to learn about Sound & Production, his 1st main record- ing sessions as an engineer were rock & “Inde” based bands & the studio owners being in successful rock bands. Matt Dangerfield & John Payne “ASIA” this 1st step was a start in learn- ing about balancing & mixing down the rock way, which had a lot of intense & Raw energy especially on drums & Guitars.. In 1987 Cisco began going to clubs and learning about this new thing called Acid House, which was spreading like crazy throughout London’s underground scene, culminating in the famous “Summer of Love” in 1988, the genre’s golden period. Around this time, a record label called, Jack Trax, “One of the 1st to release Acid House, House & techno in UK” moved in next door and began using the same studio for recording sessions, with Cisco as the engineer working with Fingers Inc, Adonis, Marshall Jefferson & Derrick May. Cisco released his first record in 1988 on Ferrari records (R&S records) Then later “Cisco Ferreira” EP on Fragile. His first big break came in 1994, when he and fellow Londonite Colin McBean (a.k.a. Mr. G) were brought on by Internal Records to help co-produce a group called Salt Tank. A record contract with Internal/FFRR soon followed, committing The Advent to 12 EP’s and 3 albums. Today, The Advent goes on just as Cisco Ferreira. While he has had a long history with tons of accomplishments to hang his hat on, he continues to make history. The Advent is fulfilling Cisco’s vision as much as ever. 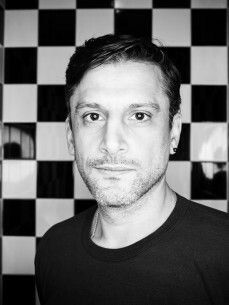 He is busy touring as both a DJ and a live performer, producing for numerous labels, and running his own Techno imprint, Kombination Research.